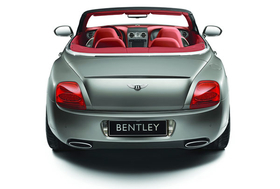 Bentley is reducing production at its UK factory after the global economic crisis hit sales at the ultraluxury brand. The Volkswagen-owned carmaker plans temporary shutdowns at its Crewe, central England, factory over the next four months. Last year, Bentleys unit sales fell 24 percent to 7,604 from a record high of 10,014 in 2007. Bentley will halt production of its Continental model for seven weeks. Production of the flagship Arnage car will stop for six weeks. The carmaker also will extend its summer break to three weeks from two, starting July 20. The production stop will affect more than 3,500 workers at the Crewe plant.